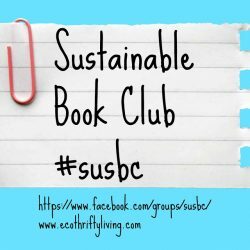 Sustainable Book Club no.5 – The Moneyless Manifesto by Mark Boyle! I read the Moneyless Manifesto quite a while ago and blogged about it here and here. At the time the book had quite an effect on me. It really put me off money! I could relate to a lot of it, but had a lot of questions at the end: How did Mark eat for free? -> Continue reading Sustainable Book Club no.5 – The Moneyless Manifesto by Mark Boyle!